Samsung is still leading the top five smartphone vendors in the world which is followed by Apple and Huawei. 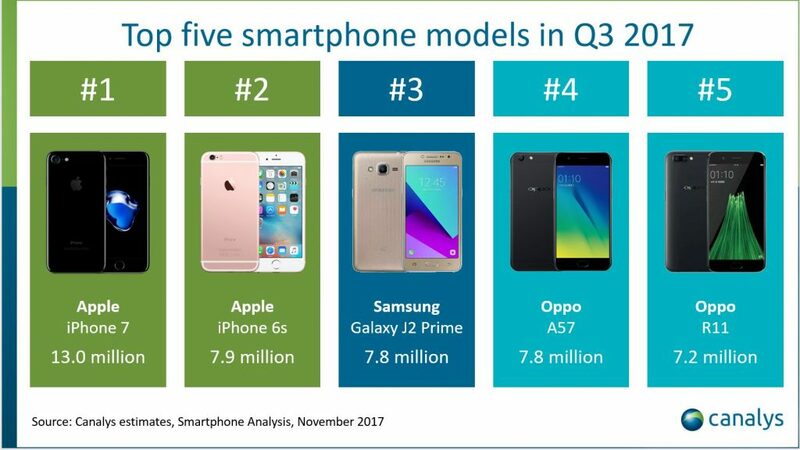 According to Canalys, Apple’s iPhone 7 is the best selling model worldwide with over 13 Million units shipped and the iPhone 6s next to it with 7.9 Million units. The Apple iPhone 6s is closely followed by the Samsung Galaxy J2 Prime with 7.8 Million units shipped in the last quarter. OPPO took the fourth and fifth places of the best sellers in the world with its A57 and R11 shipping 7.8 million and 7.2 million units respectively. 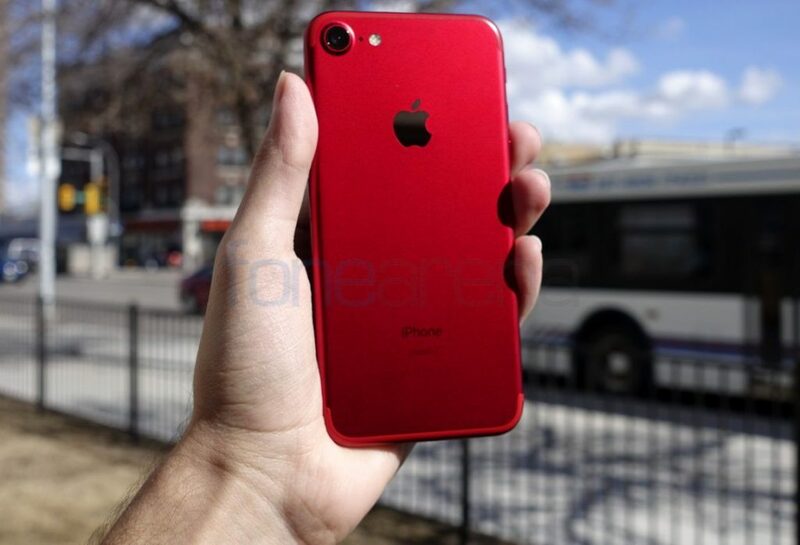 However, the latest iPhone 8 and 8 Plus couldn’t make it to the top five list, as they both combinedly accounted for 11.8 million falling short of the iPhone 7 line which topped 14 million in its first quarter. The Apple iPhone 8 Plus with 6.3 million units beats the iPhone 8 with just 5.4 million units being shipped in the first quarter. This also is the first time that a Plus variant out-ship its smaller sibling in a single quarter. Moving to overall data, Samsung still tops the list with over 82.8 Million units in Q3 which is a growth of 8.2% compared to Q3 2016. Samsung’s J-series did exceptionally well in India and the Middle East and the new Samsung flagship; the Galaxy Note 8 shipped a solid 4.4 million units. Following Samsung in the list is Apple with 46.7 Million units worldwide and seen a minor growth of 2.6% compared to Q3 2016. 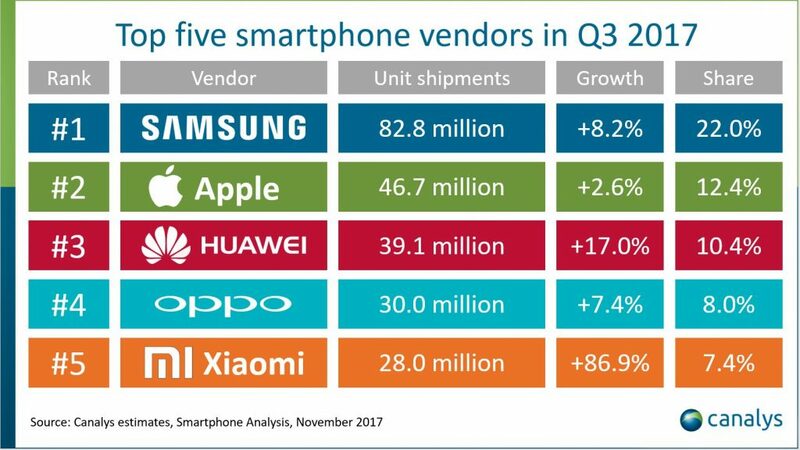 Huawei, OPPO, and Xiaomi followed the list with 39.1 Million, 30 Million and 28 million in the top five smartphone vendors list. Samsung had a positive quarter. It discounted the Galaxy S8 in several major countries in Q3, which helped ease inventory buildup from the previous quarter. In total, it shipped 10.3 million devices from its Galaxy S8 range in Q3. But Samsung’s golden period of having a differentiated product has now ended. Apple, Google, Huawei, and others have all introduced new smartphones with 18:9 displays and thin bezels. As the battleground at the high end moves toward AI and AR, Samsung is behind, and needs to catch up with competitors such as Huawei and Apple.